A Q and A tester for Traveller?s Tales, the developers of several LEGO games, has leaked an image of a revised Wii U controller. The image was leaked via the tester?s Twitter page, but has since been removed.The first thing you will notice is that the controller now features traditional analog sticks as opposed to the 3DS nubs originally featured. Both the Start and Select buttons have also been moved to the right hand side of the device and a small square button has appeared below the d-pad, most likely for syncing the controller. 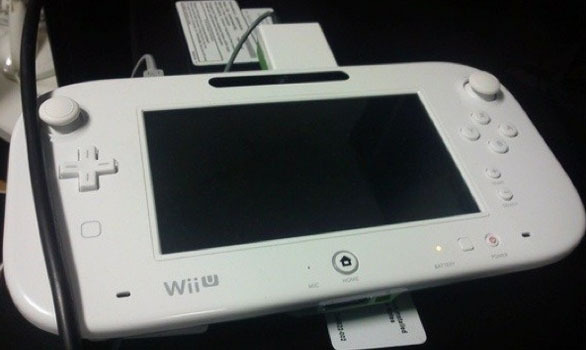 Finally the tablet now includes the official Wii U branding, suggesting this is the final name for the device. These changes may only be for the developer units, but expect the final retail controllers to look similar. The major change to the analog sticks is probably the best thing that Nintendo could have done, everybody hates those little nubs on the 3DS and on a controller this size it would have caused all sorts of issues. The other changes are simply cosmetic, and shouldn?t really change how the controller is used. The one thing that looks kind of weird is the controllers on the top of the device. It looks incredibly awkward to hold and use the face buttons at the same time. We hope that Nintendo will decide to move the sticks below the face buttons like most controllers.